Talk about saving the best for last. In a 35-14 win over the Miami Dolphins, wide receivers, Julian Edelman and Michael Floyd each put together breakout performances in the New England Patriots regular season finale. Edelman put forth an impressive showing as he had eight receptions and a career-best 151 yards. His stats on the day included a 77-yard touchdown that marked the longest reception of his career. 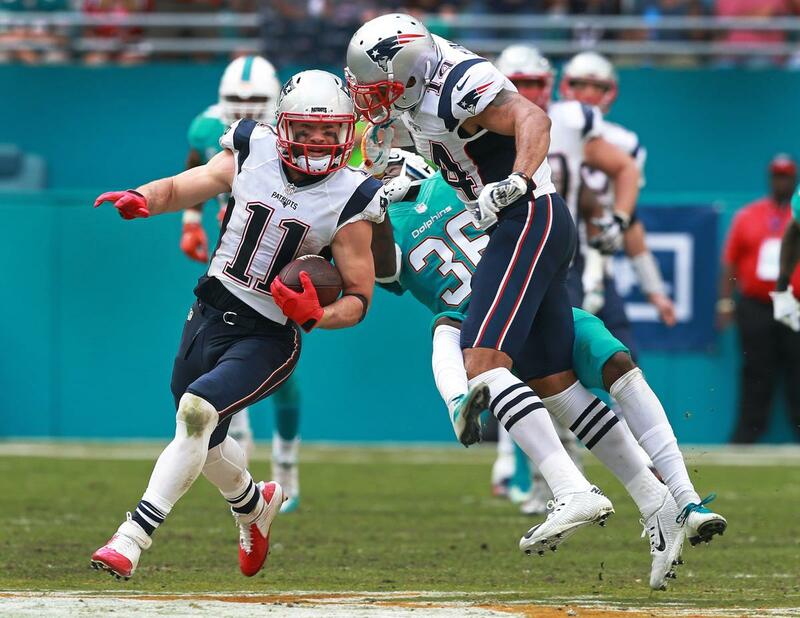 Edelman was able to break free after Michael Floyd’s resounding block on Dolphins cornerback, Tony Lippett. This score helped swing the momentum back in New England’s favor after Miami had back-to-back touchdown drives. The TD brought the Patriots back up by 13 points. Tom Brady to Julian Edelman for the 77 YARD TD! “I felt it. I felt it. I felt some wind go by,” Edelman said about Floyd’s massive block. Michael Floyd ended the day with three receptions for 38 yards and one touchdown, his first as a Patriot. He is definitely out to prove that he was a good pickup for the team. Edelman’s explosive performance yesterday allowed him to rack up a career-high in season receiving yards with 1,106 and the second-most catches of his career with 98. This was the second time in his career that he surpassed 1,000 receiving yards. He also achieved another goal – which was playing in all 16 regular season games for the second time in his career. Edelman mentioned that he’s always looking ahead to see what he can accomplish next. 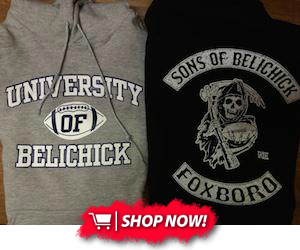 The “next one” will happen when the Patriots host a divisional round playoff game on Saturday, Jan. 14 at 8:15pm.